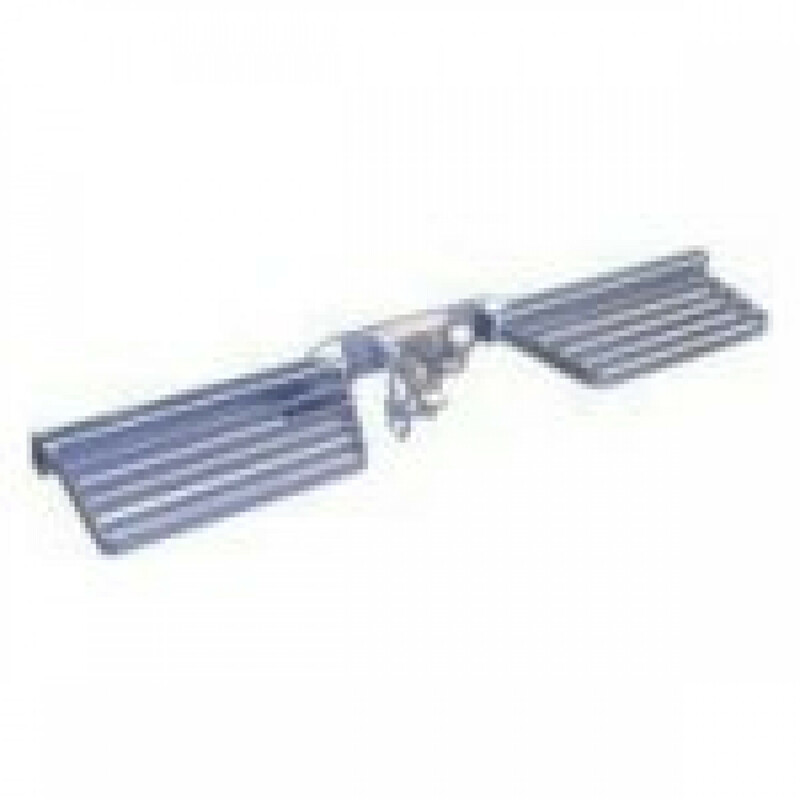 This large heavy duty double sided tow step that has been designed for the industrial and fleet user, where regular access into the rear of the vehicle or to load/unload roof storage facilities is required. The step fixes between the towbar and coupling, with hole patterns to suit most coupling types. All the treads are fabricated using steel sections with a patented grip pattern, giving improved resistance to slipping in wet and muddy conditions. Radiused corners provide improved appearance as well as the reduced risk of personal injury.